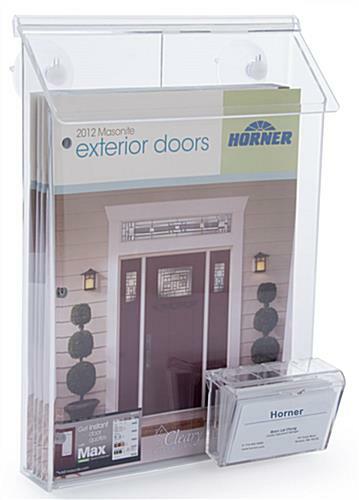 These car brochure pockets are made from durable, weather resistant clear acrylic and feature self-closing, waterproof lids. 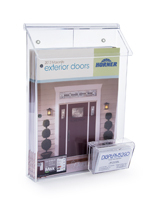 Each suction mount fixture is designed with both a 9" x 11" compartment and a business card holder. 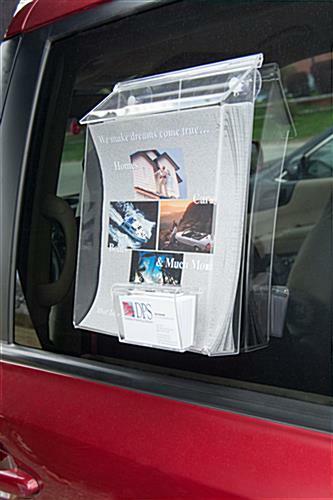 The portable brochure pockets are perfect for attaching to auto or other vehicle windows and non-porous surfaces. 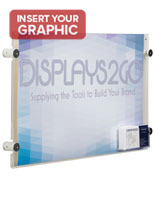 This type of fixture with both flyer and card displays presents customers with marketing and contact information at one time. 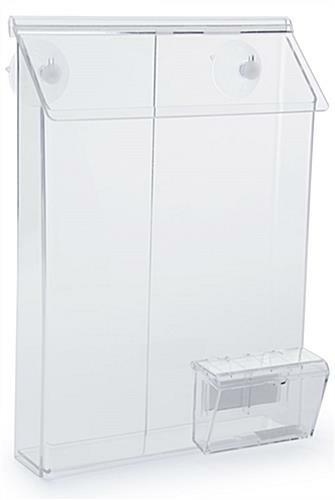 Clear brochure pockets with suction mounts are ideal for temporary displays as well and can be easily taken down whenever necessary. These mounts are ideal for placing on vehicle windows at dealerships, car shows, in showrooms, at trade shows and for other purposes such as open houses and more.